As we witness what the National Hurricane Center is now calling the biggest rainstorm on record unfolding along the Gulf Coast of our United States, the unprecedented flooding in Houston leaves more than 6,000 people in need of shelter and still many more stranded and waiting for rescue. 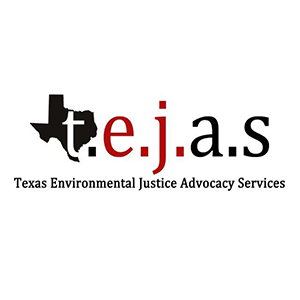 Climate Justice Alliance is proud to have supported member group Texas Environmental Justice Advocacy Services (t.e.j.a.s. ), the oldest environmental justice organization in Houston, in raising over $100,000 for their efforts to address the toxic aftermath of one of the biggest recent climate disasters, Hurricane Harvey. At this time, CJA has closed to the TEJAS HARVEY FUND but if you would like to support their work, please donate to them directly via PayPal. We are seeing the consequences of climate change denial and the imperative need for an equitable just transition from the current extractive economy. We ask that you support this just transition by donating to the t.e.j.a.s. Harvey Fund (#tejasharveyfund) to support a group that has historically worked in the most affected frontline, grassroots communities. We ask that all our members and allies spread word of the launch of the t.e.j.a.s. Harvey Fund and inspire their communities to participate. Tag t.e.j.a.s. Harvey Fund on all local activities using #tejasharveyfund on all platforms for Hurricane Harvey posts so we can repost them or share them and give your activity as much exposure as possible. ~ Juan Parras, Executive Director, t.e.j.a.s.